Nowadays, the term “hobo” is mostly used in a derogatory way to describe vagrants, drunks and homeless people who don’t want to work. However, unlike the terms “tramp” or “bum”, which were always used to describe slackers and dirty drifters, the term “hobo” was initially used in the late 19th century to describe impoverished migratory workers in the United States. The exact etymology of the term is unknown, but it was most likely developed from a railroad greeting “Hey, beau” or as an abbreviation for the term “homeward bound”. The hobo culture emerged in the 1860’s, at the end of American Civil War, when many homeless veterans traversed the United States in search of work and a place to settle. 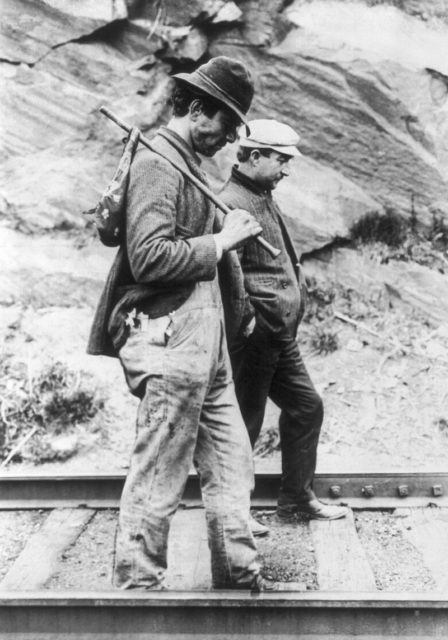 Hobos were frequently associated with railroads: they frequently used freight trains to move from one state to another and often sought part-time work in the railroad business. The lives of hobos were often pretty harsh. Since they illegally hopped on and off freight trains, slept in unusual places and squatted abandoned buildings, they were often targeted by the authorities or citizens which considered them to be mischievous vagrants. Weather conditions were also a huge threat for many hobos. During summer they could easily sleep out in the open, but winters often brought extreme cold and many unfortunate hobos froze to death. 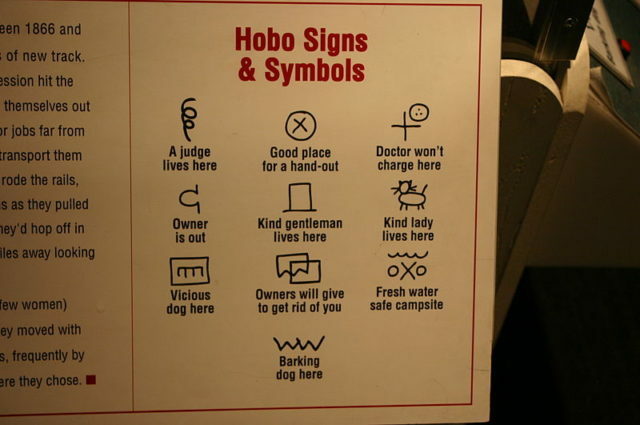 These circumstances forced hobos to create “the Hobo code”, a unique cryptic form of communication, a system of symbols through which they could mark safe sites and steer other hobos away from dangerous people and places. The hobo system of communication dates back to the 1850’s and to a certain extent it’s still used by homeless people across the United States. The communication system contains a variety of symbols. 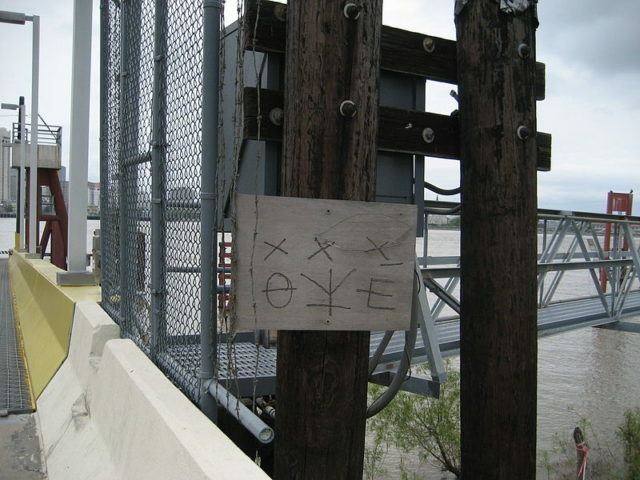 For example, a cross signifies a place where priests are willing to serve food to the hobos, two interlocked circles represent handcuffs and the presence of brutal police, and the cross-coupled with a smiley face means that a doctor lives nearby who is willing to help hobos free of charge. 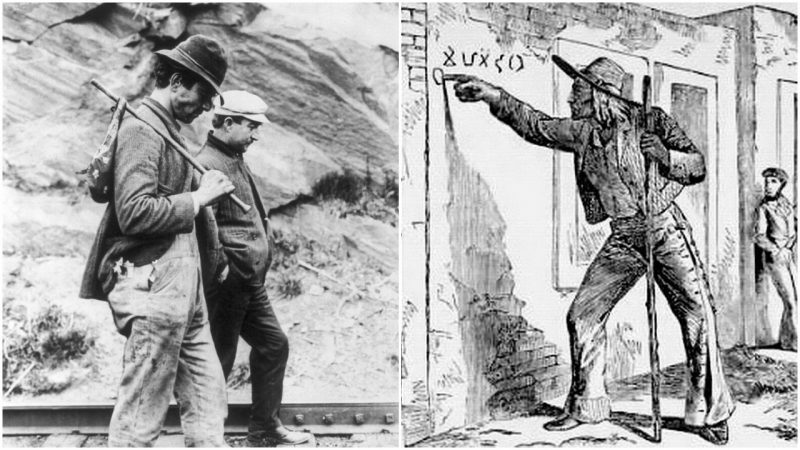 The Hobo communication code was a natural extension of the Hobo ethical code, which was an unwritten set of rules created for the betterment of all hobos. Since hobos were endangered by a variety of unfavorable circumstances, they realized that they could survive and find happiness only by caring for each other. 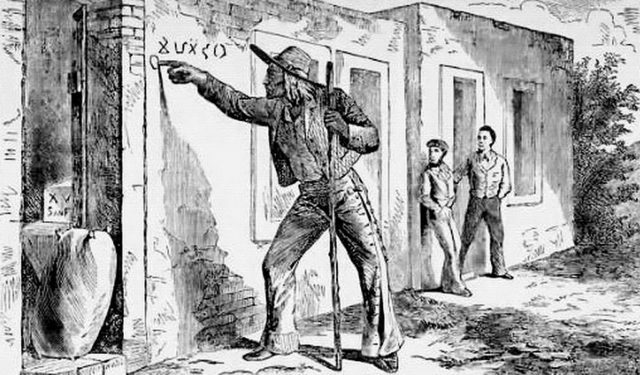 While the hobo culture practically disappeared during the 20th century, the hobo communication code remained as a universal visual language of the homeless, the impoverished and the traveling drifters. Since a special slang developed as a part of the hobo culture, some hobo expressions remained active in today’s English. For example, the terms “moniker”, “big house” and “reefer” were conceived by hobos, and remain in use by a huge number of people.